With CES still lingering in our thoughts, and ISE right around the corner, there’s no denying that we work in a product-centric industry. A brighter display, a more flexible sound system—these are the things that make our work exciting. But what good are these technological wonders if no one is around to help when they falter, or if we don’t know how to use them properly in the first place? These services play such a pivotal role in the success or failure of innovations, but nevertheless, often go unsung. That’s the inspiration for our Stellar Service Awards: to recognize and honor the efforts that go on behind the bright lights of the trade shows to make this industry work. This year’s categories have been updated to reflect some of the new service offerings innovative vendors are now offering to adapt to market changes. We welcome entries from both manufacturers and distributors in each category. To submit an entry, click here. A $250 fee is required for entry to each category, and companies can enter into the running for as many categories as desired. After nominations close on February 10, voting by SCN readers will take place online and will be further vetted by a panel of integrators and consultants. 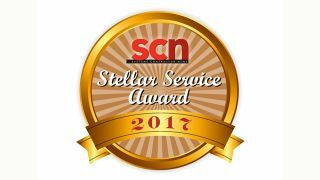 Winners will be announced in the SCN Spring Special Service Edition in April 2017. Contact SCN’s Matt Pruznick with any questions.